Certain situations call for a different kind of hook; one shaped like a "J". 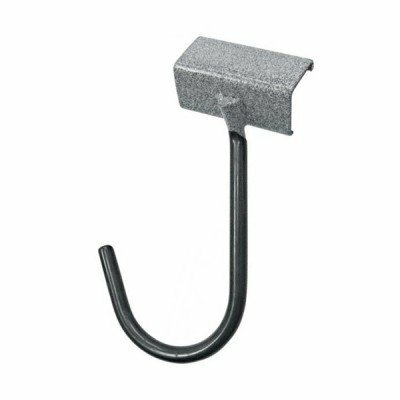 This hook is best used to hold bicycles, weed eaters, and golf bag handles.THIS IS AN ACCESSORY ITEM TO THE MONKEY BAR STORAGE SYSTEM. If you have any questions about this product by Monkey Bars, contact us by completing and submitting the form below. If you are looking for a specif part number, please include it with your message.